Haq's Musings: Is Modi's Honeymoon Over? Things are not looking so rosy at home for Indian Prime Minister Narendra Modi as he continues his world tour with the latest stop in Beijing, China. 1. Revision of GDP methodology by India's Central Statistical Office (CSO) to show it is growing faster than China has drawn serious skepticism, even derision by serious economists around the world. While India's boosters in the West are not only buying but applauding the new figures, Indian policy professionals at the nation's Central Bank and the Finance ministry are having a very hard time believing the new and improved GDP brought to the world by Indian government. Dissenters include Morgan Stanley's Ruchir Sharma, an Indian-American, who has called the new numbers a "bad joke" aimed at a "wholesale rewriting of history". 2. India's exports are continuing to drop. The trade data shows a sharper slowdown (21%) in exports than in imports (13%, due to lower oil prices) for March, 2015. Exports are down another 13.96% in April 2015. There is an overall decline in both for the year too, according to Seeking Alpha. 3. Large scale manufacturing in India continues to disappoint. Growth slowed in April 2015, according to HSBC India Manufacturing Purchasing Managers Index (PMI) data. At 51.3 in April, down from 52.1 in March, the headline PMI points to slowing demand. 4. Mumbai stocks are among the worst performing in emerging markets. FII (foreign institutional investments) net outflows gave been of the order of Indian Rs 125 billion (about US$ 2 billion) over the past month. The stock market index has seen the biggest correction of 10 per cent in a short time, according to India's First Post. 5. In spite of Prime Minister Modi's high-profile campaign to improve hygiene, India has been ranked near the bottom on access to clean water and sanitation. India has ranked 92 on Water, Sanitation and Hygiene (WASH) Index developed by The Water Institute at the University of North Carolina at Chapel Hill's Gillings School of Global Public Health in the US, far below Pakistan which ranked near the top in 5th position. India's Economic Times has recently reported results of a survey of top CEOs. Majority of them say that demand is depressed. "The bonhomie and cheer that greeted the arrival of the Modi government is replaced by a sombre mood and a grim acknowledgement of the realities of doing business in India," reports ET, as it captures the sentiment of the CEOs. The largest engineering conglomerate L and T has said some of its plants are idle as demand for capital goods is very weak. The Aditya Birla Group had deferred its revenue target of $65 billion by 3 years, to 2018. "While there are some who consider India to be the best emerging market and recommend it as such, my own assessment is different. Whether it's relatively high valuations, weak fundamentals with persistent deficits, government bonds under pressure, weakening currency, rebounding oil prices, declining confidence in the government and so on, India is facing a ton of headwinds going forward. Far too many to be a number one pick among emerging markets." Modi government has to turn some of its election promises into action. Mr. Modi cannot rely on the benefit of the doubt because his honeymoon period is now over. He will be judged on what he is able to accomplish. Can India Survive Without Western Money Inflows? Is India Fudging GDP to Show Faster Growth Than China? 1. Rebasing and change in methodology are standard practices around the world, Indian government has changed the methodology to reflect the realities in India. Lastly, IIRC you have always boasted about the shadow economy in Pakistan, and much larger GDP of Pakistan. So, if Indian government changes its methodology to measure the size of economy why are you so pissed? 2. If you have cared to read the entire piece, you will see that the drop in export is due to Global drop in demand. Lastly, current account deficit of india has shrunken for the first time below 1 % of GDP. 3. Indexes like PMI and WASH are large scale synthetic indices like HDI which you yourself discount. Why show double standards now? 4. How the heck does that matter? 5. It is just one year, the data used to calculate that index is from 2014, the change in government happened in May 2014. I dont get what the hell you are harping about. Lastly, that Index shows Thiland below Pakistan. Seriously, I could care less about such an Index. The real impact of Deng Xi 's reforms in 78 in china only became apparent in late 80s onward (http://en.wikipedia.org/wiki/Deng_Xiaoping). It takes time for the effects of reforms to take shape. After a long run as the emerging market equity sweetheart, investors may be falling out of love with India stocks. "Prime Minister Modi's victory last May set the stage for a significant amount of reform optimism and encouraged portfolio inflows," HSBC said in a recent note. Now "India is the most over-owned equity market in Asia by mutual funds," it said, citing EPFR data. It cut its rating on the market to underweight from overweight. "As other markets become more interesting, India could be used as a funding market," HSBC said. Funds had flowed into the market in a wave of optimism after Prime Minister Narendra Modi and his ruling Bharatiya Janata Party (BJP) swept into power promising much-needed reforms. Some of those reforms have hit speed bumps recently, with parliamentary bills aimed at making for businesses to buy land and to reform taxes getting deferred earlier this month. That may cool some of the optimism of foreign investors whose portfolio flows sent the Sensex surging nearly 29 percent last year, with index shedding around 0.6 percent year-to-date. The vagaries of portfolio flows aren't the only reason HSBC is looking askance at the market, with the bank also citing concerns about earnings. "India is one of the markets across the region to have witnessed the highest number of earnings downgrades," HSBC said, noting consensus estimates for this year have fallen by more than 5 percent over the past three months. "Weaker earnings growth expectations will, by definition, alter earnings based valuations for the market. India's price-to-earnings (P/E) valuations therefore remain elevated. India is currently the second-most expensive market in Asia in terms of 12-month forward P/E," it said. Bemoaning that it didn't go underweight sooner, Credit Suisse said it appeared to be "paying the price for not heeding our valuation model." India equities are among Asia's most expensive, the bank said in a note earlier this month. "We had overridden our valuation model as we believed India combined rising ROE (return on equity) with falling COE (cost of equity). But the ROE recovery appears to have been delayed," Credit Suisse said. "With investors asking whether it is time to buy India, we suggest not yet," it said, adding that the market's valuations remain among the region's most expensive and year-to-date foreigners remain net buyers. "Given the downside risks to growth, heightened uncertainty around inflation outlook and slower than expected progress on reforms, we see risk of a more prolonged corrective phase," Goldman Sachs said in a note Friday. But it added, "We see our longer-term positive view on Indian equities firmly intact and remain overweight India in a regional context." The country's economy is still broadly expected to improve, with the Asian Development Bank (ADB) in March forecasting growth of 7.8 percent in fiscal 2015-16, up from 7.4 percent in the previous fiscal year, and then rise to 8.2 percent in fiscal 2016-17 as planned reforms start to improve confidence and external demand appears likely to pick up. "Modi has been high on rhetoric and short on delivery in his first year, and his many constituencies feel they have been fed empty promises," said Manu Bhagavan, a professor of history at Hunter College in New York. Economists and investors trumpeted Modi as a sort of Ronald Reagan of India, a man who could get down to business and prescribe the right medicine for the country's heavily regulated economy. Global leaders have been getting in line to meet and greet Modi, who most recently visited China, where he was seen taking a selfie with Premier Li Keqiang. "As branding exercises go, it's been a performance worthy of Madison Avenue," said Bhagavan. The Indian commerce ministry announced on Tuesday that India’s exports fell 20.2 percent compared with the same month last year (LiveMint, Reuters). This announcement makes May the sixth consecutive month in which exports have fallen and this is the the longest such streak since 2009. The ministry also announced that imports fell by 16.5 percent, bringing the overall trade deficit to a 3 month low. According to the data gathered by Bloomberg, in May, oil imports fell 41 percent to $8.53 billion, non-oil imports fell 2.2 percent to $24.21 billion however gold imports grew 10.5 percent to $2.42 billion. A weakening rupee and an acceleration in inflation indicates maneuverability is decreasing for Reserve Bank of India (RBI) governor Raghuram Rajan to lower interest rates any further. RBI has already cut the interest rates in the country three times this year. When Aakash was a young boy, his family lost their small plot of land in the Indian state of Maharashtra to make way for a government dam-building project. The Indian government is legally required to compensate people it has displaced from their homes, but Aakash’s father, a virtually illiterate low-caste farm laborer, was compelled to sign theirs away without fully understanding what he was doing. The family eventually settled on the outskirts of a village, where Aakash’s father was never able to earn enough money to support the family, let alone pay his son’s school fees of 100 rupees—less than two dollars a year. His mother never went to school. His father left after the fourth grade. Aakash (whose name has been changed out of respect for his privacy) got lucky. The Rashtriya Swayamsevak Sangh (RSS), the nation’s predominant Hindu nationalist organization, took him under its wing and paid his annual school tuition. He, in turn, spent his summers and weekends in RSS camps and training sessions, learning the tenets of the Hindu Right, which include Hindu supremacy and advocacy of a strong caste system. The other young recruits came from similarly poor backgrounds, attracted by a stable source of food and financial support. Aakash’s origins resemble those of India’s prime minister, Narendra Modi. The son of a tea seller, Modi was born into a low caste, joined the RSS as a teenager, and gained a new sense of purpose. But whereas Aakash grew increasingly uncomfortable with the organization’s ideological extremism and eventually left, the young Modi flourished in the RSS, which provided an outlet for his political ambition. It is not clear, however, that the Hindu Right’s comprehensive project can hold together. Will Modi’s focus on economic growth mean that India’s social problems—caste, poverty, illiteracy, religious violence, sexual violence—again be neglected? Might economic prosperity provide an opening for more robust campaigns for social reform, or will Modi’s Hindu nationalism resurface at the expense of the lower castes? Darker-skinned Indians, more likely to come from lower castes, see in advertisements for skin-whitening products another reminder that fairer skin is a mark of beauty. So ubiquitous is caste-based discrimination that even the personal ads in the Times of India are organized in descending order by caste, with a small “Caste No Bar” subsection at the end. This troubling divide has its roots both in the development of the modern Indian state and in the nature of Hinduism and Hindu society. Before political independence and self-determination were on anyone’s agenda, Indian thinkers and public figures were already considering what social democratization would look like in a nation so fundamentally shaped by social hierarchy. And the 19th and 20th centuries saw numerous attempts to bring Indian tradition, especially Hinduism, in line with a vision of a modern liberal—and sometimes explicitly egalitarian—society. Prime Minister Modi is the living embodiment of this troubling marriage of Hindu nationalism and capitalism, of traditional social hierarchy and modern materialism. While he has maintained the support of his elite urban business constituents, he has proven himself to be as much a disciple of the Hindu Right as he was in his youth. Even as the RSS offers hope and basic services to thousands of poor, lower-caste youth like Aakash, we cannot take the organization’s apparent social egalitarianism at face value. At its core remains the inequality that has long marked Indian life. Meanwhile, the Indian rupee has lost 5.8% this year against the U.S. dollar, while the Brazilian real is down 31% and the Russian ruble is down 13%. The Chinese yuan is down 2.6%, but the currency has been propped up by Beijing despite an Aug. 11 devaluation, the most significant downward adjustment since 1994. Stocks also paint a less painful picture for India. India’s S&P BSE Sensex has fallen around 8% since the beginning of June. China’s stock market started tumbling in mid-June as local investors worried about the country’s high level of debt and its growth prospects. China’s Shanghai Composite Index has lost nearly 30% from the start of June through Wednesday, while Hong Kong’s Hang Seng Index, where foreigners can invest freely, has lost 19% over that period and Brazil is down about 10%. To be sure, investors have been disappointed by India’s economy and the pace of reforms since the government of Narendra Modi came to power in May 2014. In anticipation of stronger growth and policy overhauls, the Sensex had gained nearly 30% in 2014, making it one of the best-performing major markets in the world. Though India’s gross domestic product grew at a 7% rate for the April-to-June quarter, versus 5.7% growth in the same period in 2014, analysts attribute that partly to a change in the way the growth data are calculated. Company profits have barely grown, and now analysts say it could be another year or more before earnings pick up substantially. The outflow of funds from India last month, surpassing even those from Brazil, a country facing more fiscal and economic challenges, partly reflects that disappointment. Brazil had outflows of $940 million from its stock market, according to the Institute of International Finance. South Africa, another big emerging market, posted a net inflow of $190 million in August. Those data aren’t available for China and Russia, the IIF says. To some degree, however, India was hurt by its own popularity. When global investors want to reduce their risky investments, they tend to sell stocks that are most liquid and have performed well. Most Indian companies rely on bank financing, rather than the debt capital market, yet banks are now reluctant to lend even working capital to already stressed borrowers. These debt worries — as well as capacity utilisation of more than 70 per cent — explain why the private sector is not investing and growth remains below potential. “Companies are still way overleveraged while the banks fear throwing good money after bad,” says the head of one foreign bank in Mumbai. As a result, bond markets can look attractive to cash-strapped corporate bank clients: they can often raise funds more cheaply, while still giving investors higher yields. But bond markets can be risky for investors who do not do extensive due diligence. Corporate circumstances can deteriorate with little warning and, all too often, the rating agencies — which should be the first to raise the alarm — fail to do so. Liquidity can vanish in a heartbeat. In spite of the faith in US markets shown by Mr Rajendran, the problem of liquidity is not confined only to India or, indeed, developing markets in general. One sobering thought is that if two simple bond funds can suddenly restrict withdrawals, what about more complex investment products? Many on both sides of the Pacific have yet to be tested by a lasting bear market. That test may not be far off. Corporate bond markets in many places are in flux: China seems to have weathered the downdraft in the stock market but there are increasing fears of a bubble in its corporate bonds. Analysts suggest it has been inflated by leverage of up to five times from the commercial banks in Shanghai. Meanwhile, in the US bond market, yield spreads — how much higher corporate bond yields are, compared with safer government issues — have widened dramatically in recent weeks. Many analysts fear there could soon be a stampede for the exit, as worries over a Federal Reserve rate increase in December intensify. That would test the liquidity of US high-yield bond funds and exchange traded funds. Some funds will not be able to survive a sell-off without imposing limits on redemptions. For example, there are leveraged loan ETFs in the US promising instant liquidity, even though it takes a minimum of 20 days for deals in this debt to settle. In corporate bond markets, the distinction between developing markets such as India and developed markets such as the US may not be as great as some believe. It was a night meant to showcase the best of Indian culture, innovation and talent but a huge blaze that broke out abruptly canceled a Mumbai "Make in India" cultural event. The fire started during a traditional performance, sending the 25,000 people in attendance at Girgaum Chowpatty beach fleeing, including high profile politicians and Indian cinema stars Amitabh Bachchan and Aamir Khan, according to local media. The week-long event is the result of a push started by Indian Prime Minister Narendra Modi in September 2014 and part of a wider set of nation-building initiatives and a drive to attract foreign investors. Video footage shows initially unaware performers dancing on stage even as the fire starts to spread beneath them. Members of the crowd who are evacuating the building wave to them to alert them to the danger. Fourteen fire engines and 10 water tankers rushed to the venue, according to Devendra Fadnavis, Chief Minister of the Maharahstra state, who was at the event. Despite the dramatic scene, there were no reports of fatalities or injuries. 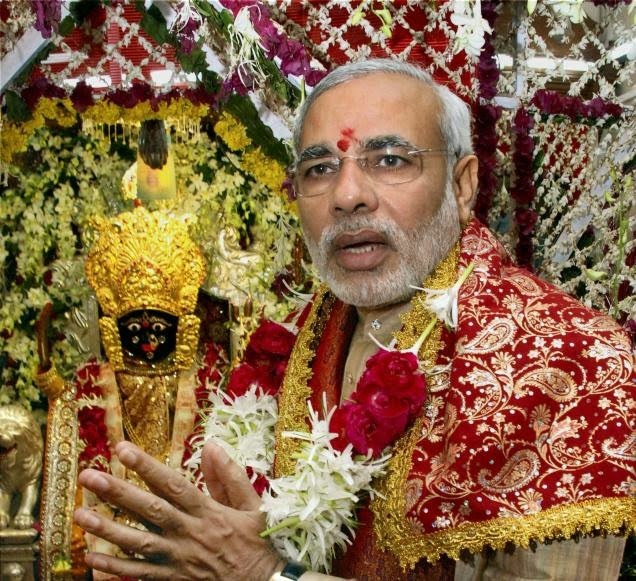 Narendra Modi's sweeping victory in the May 2014 Indian general election prompted jubilation among his Hindu supporters in Varanasi, the northern city on the Ganges he had chosen as his parliamentary seat. The energetic leader of the nationalist Bharatiya Janata party seemed to usher in a radical change from the sclerotic Congress government he had deposed, promising jobs for the young, toilets for the poor and economic reforms for investors and entrepreneurs. Two years on, and even Mr Modi's supporters in Uttar Pradesh, the country's most populous state, are beginning to wonder if the prime minister will be able to achieve half of what he has pledged — whether the target is a clean-up of the polluted Gangesor the revival of Indian manufacturing. "Modi's a realist," says one retired banker in Varanasi, "but he hasn't achieved anything yet. People say he needs more time." Higher up the Ganges in Kanpur, the industrial city once known as the Manchester of India, business leaders say the erratic supply of electricity has improved slightly. But there are few new jobs for the 1m or so young Indians who enter the workforce each month: lack of power, the difficulty of acquiring land, restrictive labour laws and constant interference by bureaucratic and corrupt government inspectors have made sure of that. P. Chidambaram, a Congress leader and former finance minister, says the government is "on a dangerous path" of promoting polarisation, while the BJP's Arun Shourie, a disenchanted former confidant of Mr Modi, laments the "intimidation and silencing" of the government's critics. Yet the principal complaint about Mr Modi is not that he is a domineering Hindu puritan but that he has failed to do much for economic development. "His concept of development is a few large, shining and conspicuous projects," says Mr Shourie, referring to such Modi-led campaigns as "Make in India" and "Digital India". Or, as Mr Chidambaram puts it: "Where are the jobs?" Business leaders say it is unfair to suggest that nothing has been achieved, although few of them would agree with Jayant Sinha, minister of state for finance and a former McKinsey partner, when he says "we are fundamentally changing the nature of Indian capitalism" to help entrepreneurs. Mr Modi also faces intense resistance to change from Indian bureaucrats and is undermined by ineffective cabinet ministers he seems unwilling to sack. He sometimes finds his initiatives blocked by state governments — such as that of Uttar Pradesh — controlled by parties other than the BJP. Banks are constrained from new lending by a mountain of bad loans for infrastructure and industry dating back to previous administrations. Priyankar Upadhyaya, a political scientist at Banaras Hindu University in Varanasi, says Mr Modi "desperately" wants economic development and finds himself stuck in a "trap of expectations" set by hopeful voters. True, India's economic growth in the last 25 years has been slower than China's. India's growth rose to almost 11 percent of U.S. gross domestic product in 2014 from about 4 percent in 1990, while China’s vaulted to 60 percent from 9 percent in the same period. But unlike China, India never became an export-driven manufacturing juggernaut and so its growth has been steadier. Last year it was 7.5 percent. India also didn't benefit as much as China when manufacturing shifted from the West to developing countries, and thus the decline in offshoring is hurting India less than China. India certainly has its problems -- notoriously slow bureaucracies, a lack of good infrastructure, and too much regulation and corruption to name a few -- that need to be addressed before economic growth can explode. Modi has sought reforms for many of these issues, though with limited success so far. Reliable data measuring India's economy are fuzzy, to say the least. Most businesses are tiny and unregulated; many people are employed off the books. India also uses wholesale, not final, prices to deflate nominal GDP. Due to lower oil prices, the wholesale price index has been falling for 17 straight months while retail prices are still rising at a 5 percent annual rate. So the reported real GDP numbers are overstated. Still, India has major advantages over China. China's one-child policy, while now relaxed, will result in fewer entrants into the labor force for decades. That could choke growth: Younger people tend to be more geographically mobile and flexible in terms of occupation and ability to learn new skills. By contrast, India has had few constraints on population growth. The dependency ratio -- the number of children and seniors relative to the working-age population -- will continue to fall in India as it rises in China. As of 2015, India had 1.25 billion people versus China’s 1.37 billion. It won't be long before India's population is bigger. Say what you want about colonialism, but British control of India for centuries left a vigorous democracy and a parliamentary form of government, which is useful for running a large, diverse country. The British also left India with a railway system that facilitates the movement of people and goods over a vast geography. By contrast, China is reluctant to grant resident status to farmers who move to urban areas in search of work. And of course the British gave India the English language -- useful in a world that conducts most business in English and as a unifying force in a country with hundreds of languages and dialects. India also inherited a free press and a legal system from the U.K. As a result, India's rule of law is vastly better than the Communist party-dominated courts of China, complete with show trials and forgone convictions. The Central Statistics Office’s GDP figures released on Tuesday overstates the extent of growth, according to analysts. A number of statistical deficiencies plague the data, they said. The main issue is that not all of the growth that the figures show is on account of real growth. Much of it is purely on account of the increase in prices, which ought to have been deflated out adequately. According to HSBC Global Research the gap in the methodology arose from the use of smaller-than-appropriate weights for consumer price inflation in the GDP deflators. It found that correcting the consumer- and wholesale-prices mix in the deflators, giving them equal weights, suggests India’s Gross Value Added (GVA) grew 6.2 per cent in the January-March quarter, slower than the official estimate of 7.4 per cent. “Price changes that boost nominal earnings are being ascribed to real growth,” JP Morgan Research wrote in a note to clients. “Much of the value-added is because of input prices falling more than output prices (i.e., nominal margins being boosted), which needs to be deflated out.” The faulty approach can be seen in the manner manufacturing value-added was deflated. Input prices are falling more than output prices, boosting the nominal margins, and inflating much of the value-added in the manufacturing sector. In the absence of adequate deflation, manufacturing growth was exaggerated, wrote HSBC Global Research. CSO data put real manufacturing growth at 9.3 per cent in the January-March period. This was at odds with the IIP data for the same quarter, which showed a mere increase of 0.2 per cent, JP Morgan wrote. Similarly, inadequate deflation also affected the way tax changes were incorporated into the GDP data. It led to overestimation of taxes, which drove the GDP well above the GVA. GDP is calculated as a sum of GVA and indirect taxes from which the value of product subsidies is deducted. The difference in the GDP and GVA growth estimates is striking; it widened to 0.4 per cent from 0.1 per cent in the previous financial year. Separately, data show that contraction in exports is slowing, according to HSBC. Sharma says: "I think India is growing at a pace between 5 and 6%, or about two points lower than the government claims. That is a huge difference -- but these days a pace better than 5% is actually quite good, even for a relatively lower income country. At a time when slower population growth, high debts, falling growth in global trade and capital flows, and other forces are slowing the global economy, every class of nations needs to lower its expectations. It may be a long time before we see another emerging nation post growth in excess of 7-8% in this new era. The risk for India is that the state will try to push growth faster than is possible or practical, in this slow growth era"
"Sri Lanka, Pakistan and Bangladesh all have bright prospects going forward, with credit growth under control, strong working-age population growth, inflation in check..."
Narendra Modi’s “friendship” with US President Barack Obama doesn’t appear to be going in the direction that the Indian prime minister would like. The American government has become the latest critic of the Modi government’s failure to deliver on its promises and raised doubts about the country’s estimates of its economic growth. The Indian government has been “slow to propose other economic reforms that would match its rhetoric, and many of the reforms it did propose have struggled to pass through parliament,” Washington noted in its Investment Climate Statements for 2016. The Investment Climate Statements, prepared annually by US embassies and diplomatic missions, provide information on investment laws and practices in each region, specifically to aid American investors in their investment decisions. Modi’s victory in 2014 was a turning point for investor sentiment in India. He had come to power with a complete majority, so most observers assumed his government would be able to implement reforms more smoothly. That hasn’t been the case. The Indian Parliament has failed to pass some key reforms, the US government said, citing examples of the land acquisition bill and the goods and services tax (GST) bill. “This has resulted in many investors retreating slightly from their once forward-leaning support of the BJP-led government,” the report said. In August 2015, opposition parties in the Indian parliament managed to stop a refurbished and contentious land acquisition bill that Modi and his government backed. This was a major setback for the “Make in India” campaign as acquiring land for factories continues to be a complex and painful procedure in the country. Projects worth Rs53,000 crore ($9 billion) are stuck due to land acquisition problems in India, according to some estimates. The government is still negotiating details about GST with opposition parties. GST aims to streamline India’s convoluted tax structure and is likely to provide an immediate boost to the country’s GDP. Given that several key reforms are yet to be implemented, the country’s claim as the fastest growing economy in the world may not be correct, the US government said. “Ostensibly, India is one of the fastest growing countries in the world, but this depressed investor sentiment suggests the approximately 7.5% growth rate may be overstated,” the report said. The US isn’t first to doubt India’s GDP growth data. Many economists—and even the country’s central bank—have in the past voiced concerns over the new method of calculation that instantly increased the country’s GDP growth from 4.7% to 6.9% for the 2013-14 fiscal year. The on-ground situation in India also indicates that all isn’t well. For instance, the pace of manufacturing growth is slow, private investments are yet to pick up, job creation is tepid and exports need a boost. The report also warned potential investors of India’s sluggish legal system and complex business environment. Each of India’s 29 states and seven union territories has unique tax structures, labour laws, education levels and quality of governance, which means “investors must be prepared to face varied political and economic conditions,” the report said. Not since India's short-lived forced-sterilization program in the 1970s--this bout of Nazi-like eugenics was instituted to deal with the country's "overpopulation"--has the government engaged in something so immoral. It claims the move will fight corruption and tax evasion by allegedly flushing out illegal cash, crippling criminal enterprises and terrorists and force-marching India into a digitized credit system. India is the most extreme and destructive example of the anticash fad currently sweeping governments and the economics profession. Countries are moving to ban high-denomination bills, citing the rationales trotted out by New Delhi. But there's no misunderstanding what this is truly about: attacking your privacy and inflicting more government control over your life. India's awful act underscores another piece of immorality. Money represents what people produce in the real world. It is a claim on products and services, just as a coat-check ticket is a claim for a coat left at the coat check in a restaurant or a ticket is for a seat at an event. Governments don't create resources, people do. What India has done is commit a massive theft of people's property without even the pretense of due process--a shocking move for a democratically elected government. (One expects such things in places like Venezuela.) Not surprisingly, the government is downplaying the fact that this move will give India a onetime windfall of perhaps tens of billions of dollars. By stealing property, further impoverishing the least fortunate among its population and undermining social trust, thereby poisoning politics and hurting future investment, India has immorally and unnecessarily harmed its people, while setting a dreadful example for the rest of the world. What India must do to fulfill its desire to become a global powerhouse is clear: slash income and business tax rates and simplify the whole tax structure; make the rupee as powerful as the Swiss franc; hack away at regulations, so that setting up a business can be done with no cost and in only a few minutes; and take a supersize buzz saw to all the rules that make each infrastructure project a 100-year undertaking. Indian Finance Minister Arun Jaitley says “India has to move towards the cashless society.” Cashless society? India? Last month’s demonetization continues to wreak economic havoc, and now defenders say it will pay off long-term by promoting digital-payment systems that increase efficiency and transparency. But why should Indians believe that officials exercising arbitrary power over their cash will keep their hands off a system that monitors every transaction? In a cashless society the state has far greater means to harm the public, both through inept policies and abuses of power. Recent weeks have been bad enough, starting with the shock announcement that 85% of Indian currency in circulation was no longer legal tender and would have to be exchanged at banks for new bills not yet printed. As citizens idle in long bank lines and businesses fold without liquidity, officials are issuing contradictory directives about the new cash regime. Now these same officials want a digital record of every exchange. India already has a too-powerful bureaucracy that imposes punishing licensing, labor, tax and other regulations, stifling entrepreneurship and innovation. This is a major reason an estimated 95% of all transactions use cash and some 45% of the economy is “informal” or off the books. When it’s prohibitively expensive to comply with every regulation, businesses that are otherwise legitimate stay underground. Without sweeping deregulation, going digital and cashless would strengthen bureaucrats to be even more intrusive and burdensome. In Germany, where memories of communism and Nazism help citizens prize anonymity, some 80% of transactions are in cash. The U.S. figure is 32%. In Japan and Switzerland savers hoard cash to avoid punitive negative interest rates on deposits. This is an entirely reasonable response to runaway monetary policy, but it annoys Keynesians like Harvard’s Kenneth Rogoff and Citigroup’s Willem Buiter, who want cash limited so central banks can squeeze savers with impunity. Sweden may be the best model for cashlessness, as only 2% of transactions use cash. But Sweden has low corruption in government, reliable legal protections, high social trust and advanced financial and technological infrastructure. India has none of that, but it does have government officials with radical plans to reshape a society in which half of the population (some 600 million) doesn’t even have a bank account. Indians would benefit from access to digital finance, which can cut transaction costs, make credit more affordable and channel state aid directly to citizens, bypassing sticky-fingered bureaucrats. The government can help by liberalizing financial regulation and improving telecommunications infrastructure. But it should also respect citizens who want to keep at least some cash. Imposing a “cashless society” is antithetical to economic liberty. I was curious about how Prime Minister Narendra Modi's surprise move to withdraw 500- and 1,000-rupee bills could impact the Indian economy, so I read a Dec. 8 report on the Indian central bank's decision to keep interest rates unchanged. In the report, a term that was unfamiliar to me -- gross value added -- piqued my interest. The article said the central bank had downwardly revised its GVA-based growth forecast for the year through March 2017 to 7.1% from 7.6%. Doing some research, I found that a country's GVA is the total of the value of goods and services produced in all industries and similar to GDP in terms of being a measure of production. The Reserve Bank of India, the central bank, does not put much faith in GDP data and uses GVA instead to assess the country's economic health. In early 2015, India switched its method of calculating GDP from a formula based on supply-side prices to one using demand-side prices. The result was a sharp increase in India's GDP growth rates. The growth figure for the July-September quarter in 2014, for instance, was upgraded to 8.2% from 5.3%. Based on the new GDP calculation formula, India's economy grew by 7.6% in 2015, outpacing China's 6.9% expansion. The switch has helped India cultivate an image as the new star performer among emerging countries, replacing China. But the RBI argues that the old formula for calculating GDP, which uses supply-side prices in computing the total value created through production, is more suitable for accurately evaluating the country's economic performance. Which data is most useful for understanding how a country's economy is faring depends on the country's industrial structure, which evolves over time. As for India, Yuji Kuronuma, who heads The Nikkei's bureau in New Delhi, says he mainly follows corporate lending, tax revenue and sales of Unilever's lifestyle products, but also keeps an eye on auto sales and airline passenger numbers. IF INDIA is indeed the world’s fastest-growing big economy, as its government once again claimed this week, no one told its bankers and business leaders. In a nation of 1.3bn steadily growing at around 7% a year, the mood in corner offices ought to be jubilant. Instead, firms are busy cutting back investment as if mired in recession. Bank lending to industry, growth in which once reached 30% a year, is shrinking for the first time in over two decades (see chart). If this is world-beating growth, what might a slowdown look like? India’s macroeconomy chugs along (though the quality of government statistics remains questionable), but its corporate sector is ailing. The sudden and chaotic “demonetisation” of 86% of bank notes in November hardly helped. But the origins of India’s troubles go much deeper. After India dodged the worst of the financial crisis a decade ago, a flurry of investment was made on over-optimistic assumptions. Banks have been in denial about the ability of some of their near-bankrupt borrowers to repay them. The result is that the balance-sheets of both banks and much of the corporate sector are in parlous states. After years of burying their heads in the sand, India’s authorities now worry that its “twin balance-sheet” problem will soon imperil the wider economy. Both the Reserve Bank of India (RBI) and the government have nagged banks to deal with their festering bad loans. Around $191bn-worth, or 16.6% of the entire banking system, is now “non-performing”, according to economists at Yes Bank. That number is still swelling. Given the linkages between them, companies and banks often run into trouble concurrently. But countries where banks’ balance-sheets resemble Swiss cheese usually have no choice but to deal with the issue promptly, lest a panicked public start queuing up at ATMs. India is different. State-owned lenders make up around 70% of the system, and nobody thinks the government will let them go bust. As a result, what for most economies would be an acute crisis is in India a chronic malaise. That doesn’t make it any less painful. Investment is a key component of GDP, and it is now shrinking, thanks to parsimonious firms. India runs a trade deficit and the government is seeking to cut its budget shortfall, which leaves consumption as the sole engine of economic growth. Indeed, until demonetisation, consumer credit was booming, up by about 20% year on year. Some may wonder whether those are tomorrow’s bad loans, or when consumers will run out of stuff to buy. Meanwhile, banks’ profits are sagging, even without the impact of fully accounting for dud loans. State-owned lenders collectively are making negative returns. Thirteen of them are described in a recent finance-ministry report as “severely stressed”. Demonetisation did indeed bring in lots of fresh deposits, but the bankers were then browbeaten into slashing the rates at which they lend, further denting their margins. The dearth of investment is in part due to a lack of animal spirits. Sales outside the oil and metals sector are up by a mere 5% year on year, compared with nearer 25% at the start of the decade. Capacity utilisation, at 72.4%, is low by historical standards: even if money were available, it is not clear many would want to borrow. Bankers, companies and policymakers once hoped the twin balance-sheet problem would eventually solve itself. Everyone’s incentive has been to look away and hope economic growth cures all ills. It has not: profits are in fact shrinking at the large borrowers, many of them in the infrastructure, mining, power and telecoms sectors. But banks have cut credit across the board, including to small businesses. "They (India's national accounts) show India's growing at seven per cent a year. But I along with many other economists, I'm afraid don't believe the national accounts. They were redone in 2011," Vijay R Joshi, Emeritus Fellow of Merton College, Oxford and Reader Emeritus in Economics, University of Oxford, told a Washington audience. Joshi, the author of a book titled 'India's Long Road--The Search for Prosperity' alleged that India's growth rate is back at 5.5 per cent, but the na ..